Besides learning about the crafty art of backstrap weaving, the weaving program at Trama Textiles is also a good opportunity to slow down and gain more patience in a relaxed and meditative atmosphere. That’s the experience of students Laura Berger and Maeve Gallagher who spent four afternoons at the school. The weaving school is part of the Trama Textiles cooperative, where we sell high-quality textiles for which our weavers receive a fair wage. The school is located at the same place as the store and office, a colourful home with a sunny courtyard just one block north of the central park. This is the place where our women teach their secrets to those who are interested in learning more about the tradition that continues to be such an integral part of the Mayan culture. You can start classes every day of the week, every time of the day between 9 a.m. and 5 p.m. from Monday to Friday. The teachers will welcome you smiling warmly and help you wherever necessary. They are very proud of their culture and eager to share it with the students. There is water and coffee available and there are always several people present, making the classes not only informative, but also sociable. Student Laura Berger working on her scarf. When you enter the courtyard during classes, there are threads in all different colours stretched from the yellow pillars holding up the roof at Trama. Today, there are four students participating in the weaving school. They are using the traditional backstrap loom technique which is used by the women of Trama, whereby the colorful threads arebound to a pillar and attached to each of the students´ hip, as such creating the only necessary tool for weaving. The students are concentrated, focusing on not getting the many threads entangled, while two colorfully dressed teachers move around between them to help loosen up knots that somehow keep appearing on the looms. Nevertheless, the students never give up and the teachers never lose their patience. The atmosphere at the school is very positive and relaxed. At the back, one of the walls is decorated with many cheerful portraits of women who bring their weavings to Trama Textiles. The cooperation was founded in 1988 after the devastating Civil War and now proudly exists of over 400 women from five different regions in Guatemala. Student Maeve Gallagher is being helped by teacher Fabiana. d lifestyle.” And she is right. The peaceful atmosphere at Trama Textile`s weaving school really makes you slow down.This afternoon, the girls succeeded in weaving about fifteen to twenty centimeters of their scarves. The sun has already left the courtyard when the students wrap up for the day. After they leave and the office closes for the day, the photos of Trama Textile’s weavers remain as witnesses to this female-owned association of backstrap weavers, which continues to support the Mayan women of Guatemala. In 1995 Trama founded its weaving school, ‘Escuela de Tejer,’ to teach backstrap loom weaving. A backstrap loom consists of two small wooden bars, rope, and a strap that the weaver wears around her waist. One bar is attached to a fixed object and the other to the weaver by the strap. When the weaver leans backwards or forwards, she controls the tension of the loom. Strings of fabric are stretched between the two wooden bars, creating the outline of the weave. The loom itself is very simple, and Maya women believe that almost anyone can own one; they are inexpensive, and they can be set up almost anywhere. 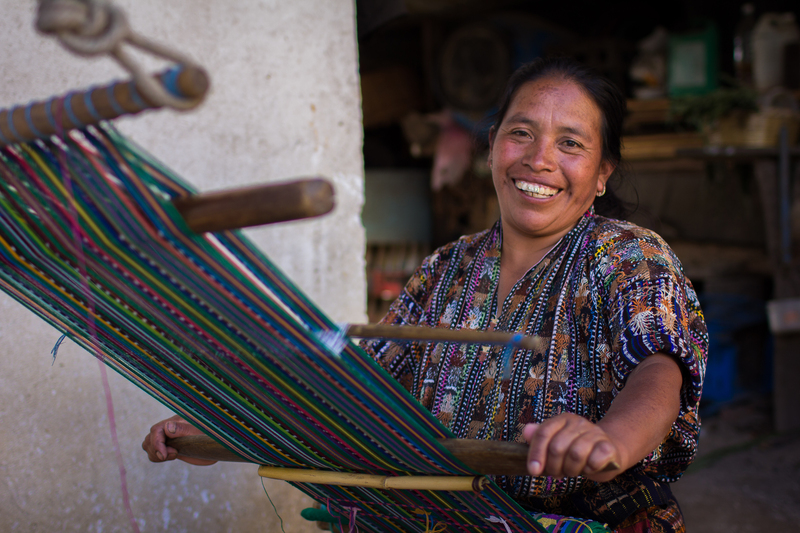 Since the looms are so mobile, Maya women also care for children and chat as they weave. 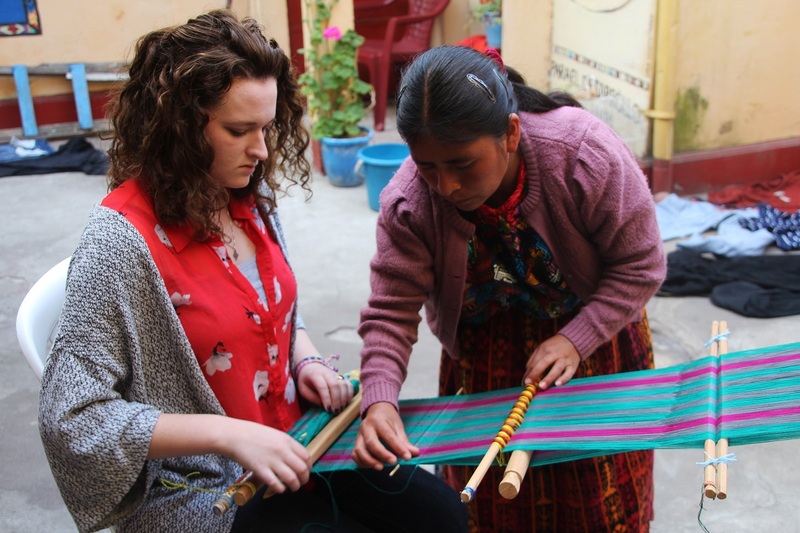 Trama’s weaving school brings Maya culture closer to the many tourists that visit Guatemala. Students learn the ancient tradition of backstrap loom weaving, its cultural significance, and Maya patterns and symbology. The weaving school is also an important source of income that supports Trama members’ efforts to empower themselves through business and earn fair wages. At first it was difficult for her to get into the flow of weaving. It took her a lot of patience to get over the difficult first phases. “But once I understood the process, the weaving went on much faster,” she said. She explained that she had to be very attentive, because if she incorrectly wove just one thread, her patterns would be thrown off. Mayana said she appreciated how special Guatemalan woven products really are half way through her table runner; she had already put in so much effort! 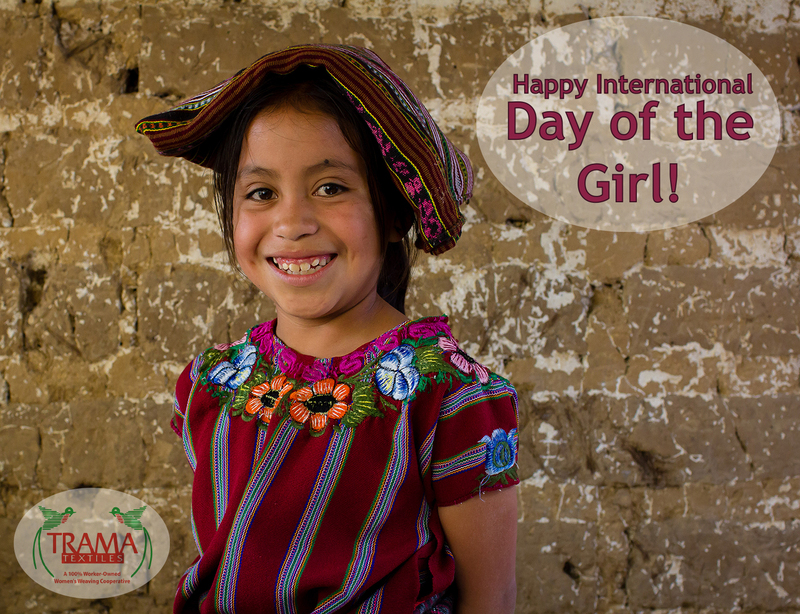 On Saturday 11th of this month, it’s the 3rd International Girls’ Day and here at Trama, we’re reflecting on why the rights of young women and girls are so important . As we are a women’s cooperative, focusing on empowering women from marginalised indigenous communities in Guatemala, the rights and opportunities of our young women and girls are central to our work. 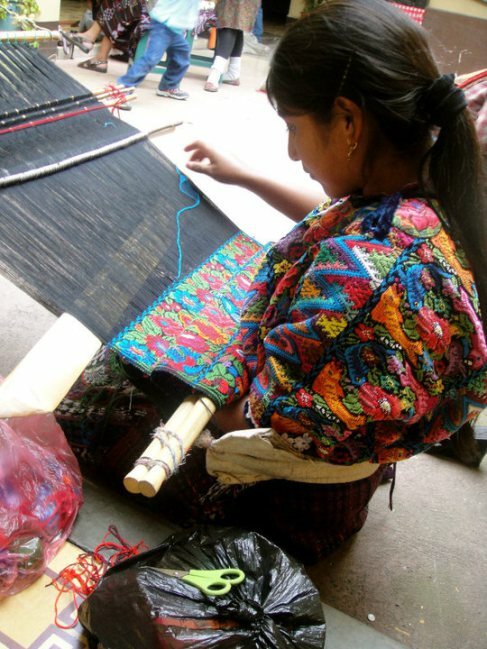 Trama Textiles was formed in 1988 as a response to the Guatemalan civil war, and the devastating impact it had on our communities’ women and girls. During the war, many men were disappeared or killed, leaving our women without a means of supporting themselves and their families. In order to find a way to earn a living, the women in our communities came together to form our cooperative, and decided to start to sell our weavings as a way to use our skills to support ourselves and our families. Today, the original women of the cooperative are getting older, and their daughters are growing up and starting to weave for the cooperative as well. The organisation provides training for the young women and girls, providing them with the means to make a living for themselves rather than having to rely on the men in their communities to support them. For many women, it’s also an important part of their culture to teach their daughters to weave, so they can carry on the ancient traditions of their beautiful textiles. Because their mothers were able to earn money from the coop, that has meant that many of the girls in our communities were able to go to school. As well as gaining an education, this means that they are able to speak Spanish as well as their indigenous language, giving them better work opportunities and a chance for a better future than their mothers. We believe that the young women and girls all around the world have the right to an education, and to have equal opportunities in terms of work as the men in their communities. Thanks to our cooperative, we are starting to make changes in the right direction in our communities, but there is still a long way to go. How are the rights of young women and girls in your communities? How are you working to help young women and girls achieve their potential and look towards a better future? Maybe with the answers, we can start to make a difference and change the futures of young women and girls all around the world. You can support us by visiting our Etsy store, to see some of our amazing handwoven fair wage accessories and homeware, made by the women in our 100% worker-owned weaving cooperative. If you’d like to stay in touch, check out our Pinterest, Instagram, Twitter and Facebook. We share great photos of our products and the amazing women we work with, as well as all the latest Trama and fair wage news! As well as our fantastic new paid job, we are always looking for experienced volunteers to come join us here at Trama. We have some great opportunities, and don’t charge any fees for our placements. Check out what’s available now on Idealist.org. 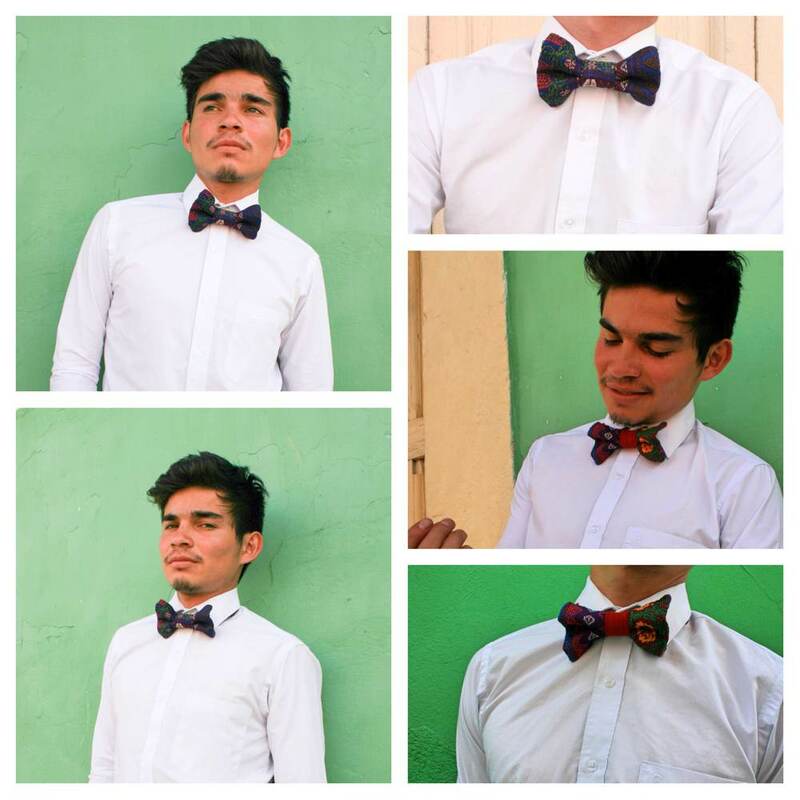 How to style – our new photo series! Wondering how you can make fair trade fashion stylish? We’ve been working on a new How to Style series, showing a few styling options for our handwoven products made by our women artisans here in Guatemala. Here’s a little taster. We hope you like them! For more, check out our photos on our Pinterest board: http://www.pinterest.com/tramatextiles/how-to-style/. We’d love to hear what you think. Let us know if you have any styling ideas of your own, or if there are any Trama Textiles products you would like to see styled! 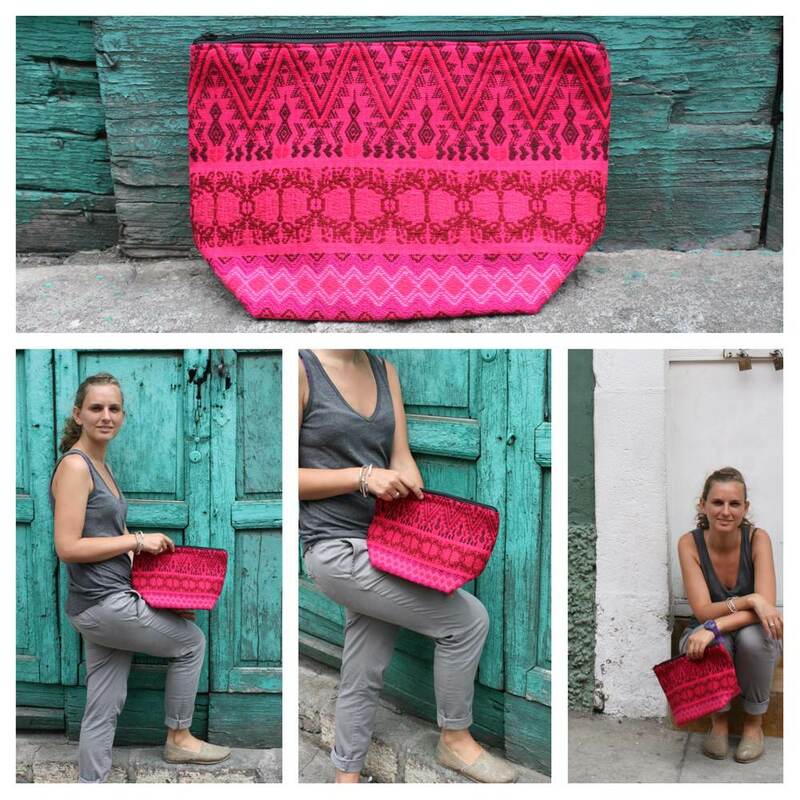 Trama Textiles is based in Quetzaltenango, also known as Xela. Xela is Guatemala’s second city, and is located in the Western Highlands, about 4 hours away from Guatemala City and 2.5 hours from Lago Atitlán. The city is 2400m above sea level (pretty high!) and surrounded by volcanoes. Xela is famous within Guatemala for its cultural identity. The city has a strong indigenous identity, and you see many women dressed in traditional huipiles and skirts. The city may not be as beautiful as Antigua, but many travellers prefer the more real-life feel here. There are few tourist attractions and not many people speak English, which means that many foreigners find it easier to integrate into the community and really get to know Guatemalan people and their culture. Around Xela, there are lots of things to do and see. The hiking is fantastic – you can choose from three volcanoes to hike up, as well as more gentle hikes around Laguna Chicabal and the Siete Cruces ridge. Also close to the town is Fuentes Georginas, a lovely place to relax on the weekend, with hot volcanic pools where you can bathe. The highlands region is also full of small market towns, as well as the huge market of Chichicastenango, where locals gather to sell their produce and beautiful artesanías. 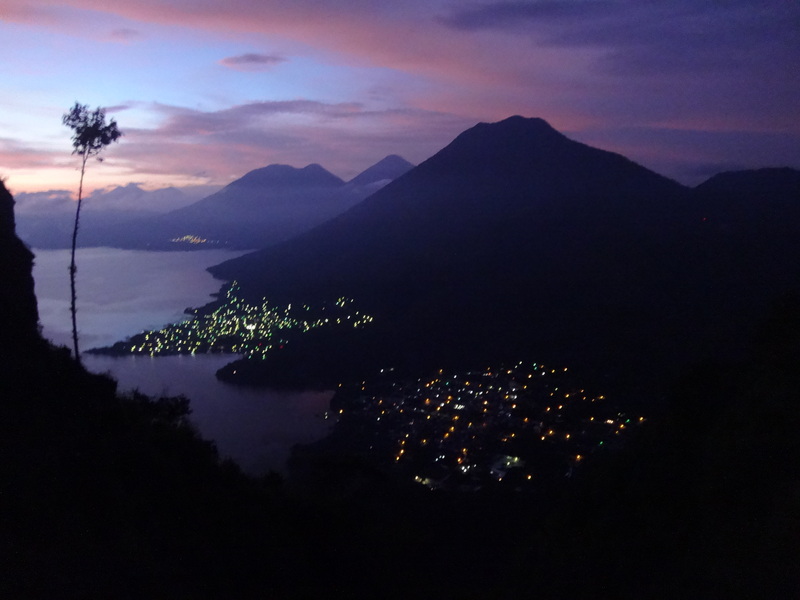 Xela is also close enough to Lago Atitlán for a weekend trip to get away – one of Guatemala’s top destinations. Within the city itself, there is a great range of restaurants, bars and cultural activities. As well as great Guatemalan food, we have a really good Indian restuarant Sabor de la India, great Dim Sum at Sublime Cafe, Thai, Mediterranean and some of the best burgers you will ever taste at Bajo la Luna! There are also a few great bars where you can go out to dance to salsa or cumbia, and a few great spots for all types of live music. For films, Cafe Red shows documentaries a few nights a week, Blue Angel cafe rents DVDs to watch in your own private cinema, and there’s a big blockbuster cinema on the outskirts of town for all your buttery popcorn and Hollywood needs. 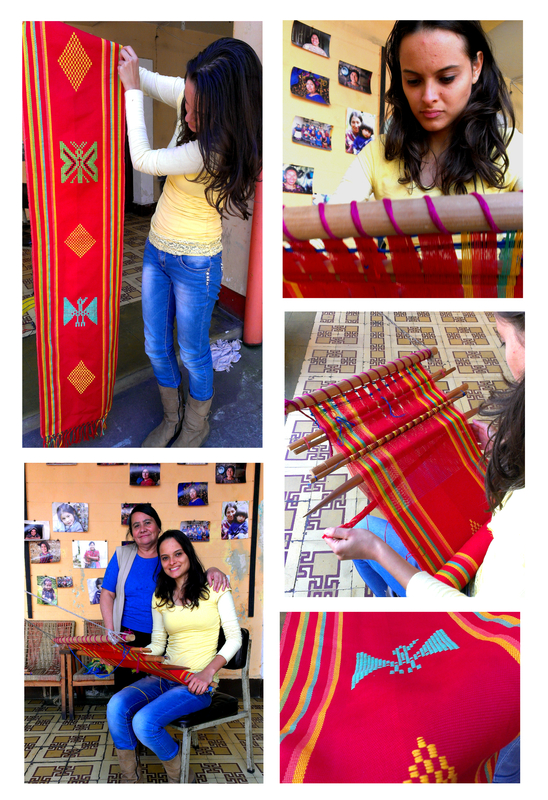 Though obviously, no visit to Xela wouldn’t be complete without a visit to Trama Textiles! If you’re in the area, please do pop by and check out our shop and weaving school. We’re the #3 activity on TripAdvisor, so you know you’re in good hands! Working at Trama Textiles – the inside story! Trama Textiles has always depended on international volunteers to carry out the day-to-day running of our office. And it’s been great – we’ve had tons of volunteers from all around the world come to share their experience and help out the organisation. But, now, for the first time, we have some money to pay for a permanent member of staff! For us, this is a huge achievement, and we’re really excited. Check out this great new opportunity on Idealist.org, and please share with anyone you think might be interested! To celebrate, we’re reflecting on past volunteers’ experiences, and how the Trama Textiles experience has been for them. 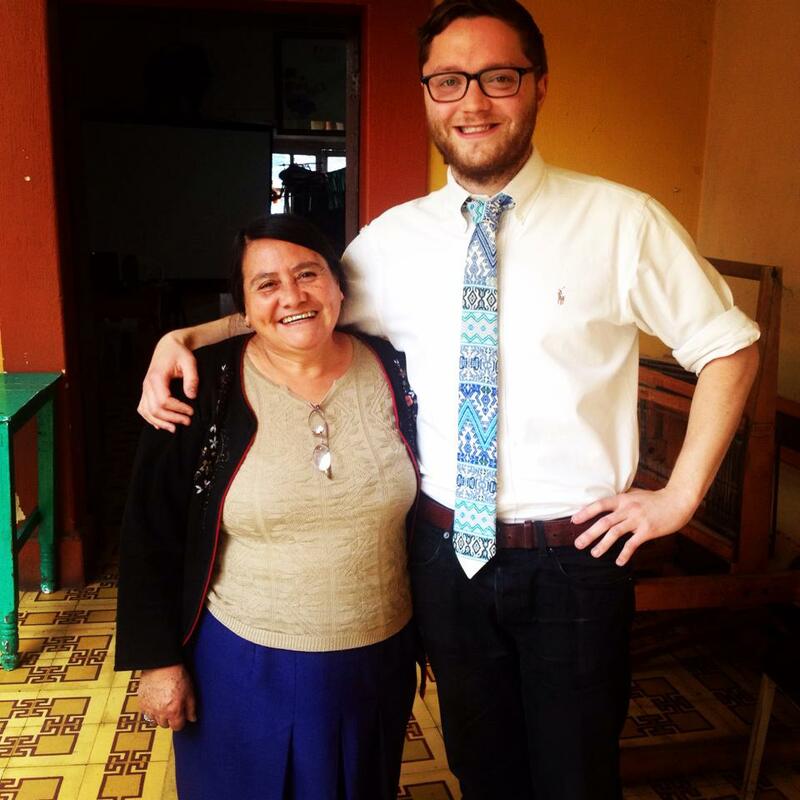 Check out what Will, Celia and Maria have to say about working for a fair wage cooperative in Guatemala! Will studied Islamic Studies at Boston University. He started his manufacturing career in Los Angeles as a Process Supervisor in a beer bottle factory. After two years in LA, he moved to New York City and worked as Supply Chain Manager for an electronics company. Seeking a career change, Will joined the Trama Textiles team in May 2014, and is halfway through a 6 month stint as Volunteer Coordinator. Will, What do you like about working at Trama? Working at Trama has given me the opportunity to lead a diverse international team, with volunteers from all over world, as well as working closely with the indigenous Mayan women of the cooperative. I´ve loved the experience of working with people from so many cultural and linguistic backgrounds. I’ve also enjoyed testing out the skills and experience I’ve gained through my career in the US, and applying them in a different environment with its own unique challenges. It’s given me a great opportunity to develop myself professionally, and to use my skills to really benefit a small social enterprise. 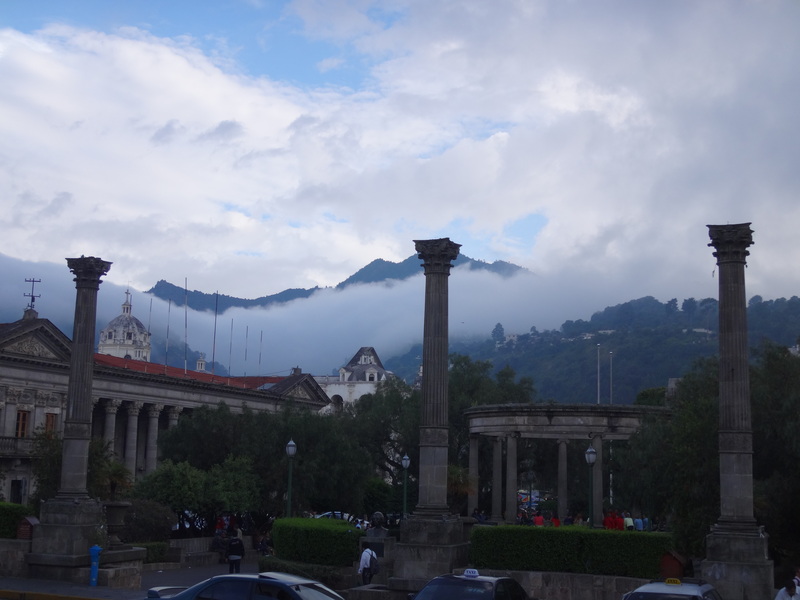 I’ve also loved living in Guatemala, and getting to know the country and the people. Living and working in Spanish has been a great experience too! What would say the biggest challenges are? Working cross culturally can be challenging. It can be tricky to work with people who have completely different backgrounds from you, and understand how different cultural norms can come into play in the workplace. But at the end of the day, that was one of the main reasons I came to Guatemala, to experience a different culture, and learning to work around those differences is all part of the fun. How do you hope this experience will help you in the future? 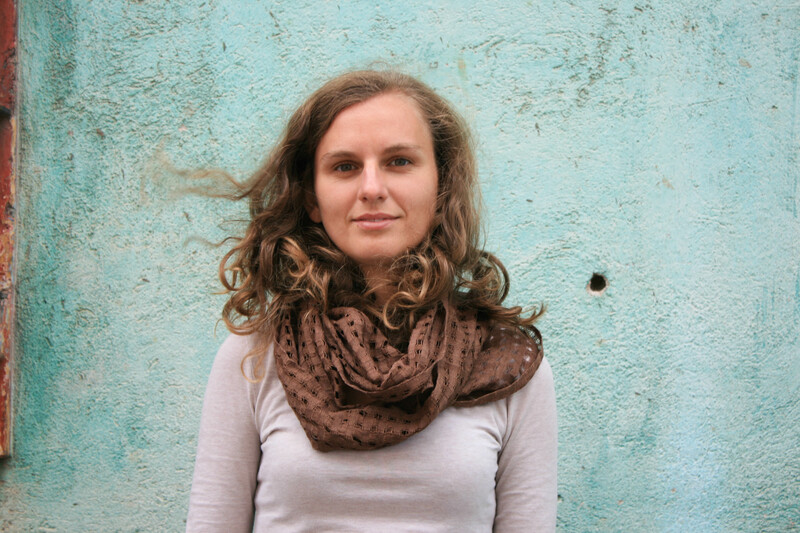 I came to Guatemala because I wanted a change in career. I´ve always wanted to work for a international crisis relief organization like the Red Cross or Doctors Without Borders, but I needed to get experience living and working in a developing country. While I’ve been here, I’ve really developed my creative problem solving skills, and reinforced my flexibility and ability to adapt to new situations. I’ve also gained and have solid first-hand experience of what it’s like to live and work in slightly more challenging circumstances, and the cross cultural experience has been really valuable. I’ve also learned the importance of keeping your sense of humor – it’s important to laugh when all the lights go off or when you’re squeezed 6-on-a-seat on a chicken bus! It’s all been great experience though, and the skills I´ve learned will be really useful in my new career. Celia studied French and Spanish, and then spent a few years travelling and teaching English around the world. On her return to the UK, she worked for 4 years as an Editor for Cambridge University Press and for Mind, the UK’s leading mental health charity. 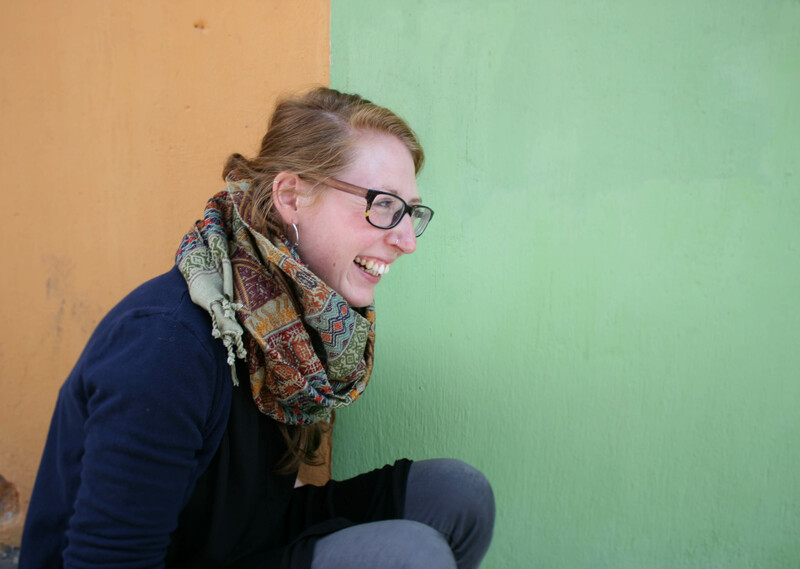 She came to Guatemala to volunteer with Trama for 3 months as part of a career break in 2014. Celia, What have you enjoyed most about working with Trama? I love working with the women, and feeling that our work has a real impact in terms of growing Trama as an organisation and making sure all the women have enough work to support their families. I also feel really proud of the gorgeous products that we make – I love seeing new things come into the store! It’s also been a great opportunity to develop my skills in a different context and practise my Spanish as well. How has Trama helped you develop professionally? Trama has been great for my professional development. There’s a huge amount of scope for creating and leading new projects, and it feels really exciting to work out how I can use my skills to best help the organisation. I’ve had the opportunity to develop new social media platforms, get involved in photoshoots, and there’s loads of room for new ideas and creative suggestions which I really enjoy. Having some work experience in a social enterprise in Guatemala will be great for my CV when I get home too, and I hope it will help me get into more international work when I get home. Any advice you would give to future volunteers? Come with an open mind! 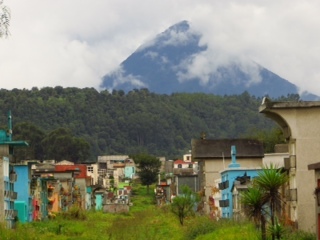 Guatemala is a great place to live and work, but it definitely has its quirks! Sometimes we lose power in the office, and have to go to a cafe to finish off what we’re doing, and downloading or uploading photos can take all afternoon. It’s important to be flexible and look for workarounds, and most of all, stay positive when things are a bit challenging! Living here more than makes up for it though – it’s all part of the experience! Marie studied Psychology in Lyon, France, before moving to Dublin for a year to learn English. She then moved to the US for 2 years, where she worked in Sales and Marketing in New York City for a luxury chocolate brand. 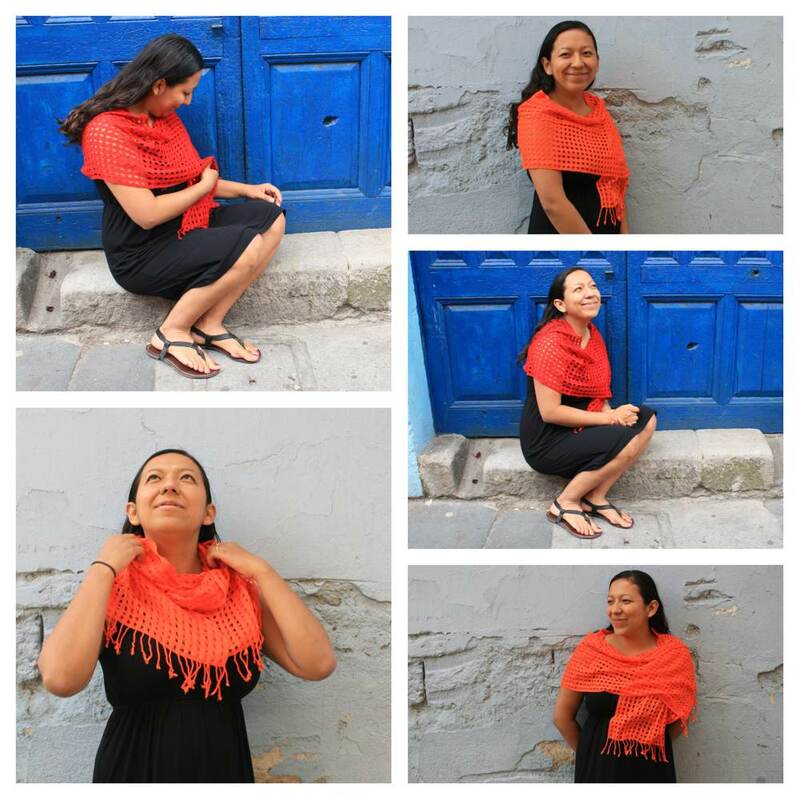 Marie came to Guatemala as the first stop on a round the world trip, and worked for Trama Textiles as Sales Manager for 3 months. Marie, What has been your biggest achievement in your role as Sales Manager? While I’ve been at Trama, we’ve worked hard to professionalise the organisation and improve our sales record. We’ve developed wholesale partnerships with a number of boutique fair wage companies, and have improved the look and feel of our Etsy store. As a result, our wholesale orders are up 980% and we’ve seen a 309% increase in sales on our Etsy store. But the best experience so far has been working with a major museum in Paris for an exhibit on Mayan culture – it’s so exciting to see our products displayed in such a famous place! What has been the best part about working at Trama Textiles? I’ve really enjoyed working with the team at Trama. It’s a really nice, supportive atmosphere and everyone is open to new ideas and suggestions, which means there´s a lot of opportunities to be creative. I’ve also loved working with the Mayan women in the cooperative – it’s a great chance to get to know people from a different background and learn more about their culture. I think the best part for me though has been using my professional skills in a different context. I feel like I’ve had the chance to test out what I learned in my other jobs, and use my skills to really make a difference. 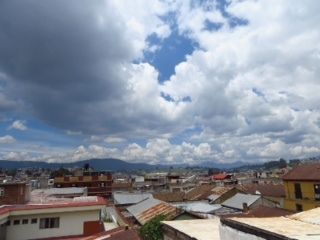 What has been your favorite part of living in Guatemala? I love Xela. It’s a beautiful city, and I fell in love with it straight away. There are so many great restaurants and places to go out, and there’s a really nice community of international volunteers and locals. It’s been fantastic to perfect my Spanish, and get to know people from all over the world, as well as from Guatemala. I’ve loved getting to know the women in the cooperative – tourists don’t usually get to know people from indigenous Guatemalan culture, so I feel really lucky to have experienced that. I’ve travelled all over Guatemala while I’ve been here, but the Western highlands has a special place in my heart! 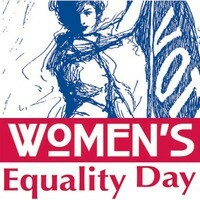 Every August in the US, people around the country celebrate Women’s Equality Day, a day to mark when women could vote for the first time in the US. Over 90 years later in 2014, Women’s Equality Day gives everyone a chance to reflect on how far we’ve come, and what is still left to do for women’s equality. Here at Trama Textiles, as a cooperative founded and run by women, we strongly believe in women earning an equal wage to men, wherever they are in the world. Today however, what we really want to focus on is the right for women to earn a fair wage. In Guatemala, many indigenous communities are reliant on the income from the beautiful weavings that their women make, but unfortunately, in many cases, the women do not receive a fair wage for their work. As many women do not speak Spanish and live in remote areas, it can be difficult to make the connections they need to sell their weavings for a fair price. So many women have to work with middlemen, who buy their weavings at a very low price and use them to make a profit for themselves, selling them cheaply at markets around Guatemala. Trama Textiles was set up to make sure women weavers in Guatemala are given a fair price for the textiles they produce. When our artisans come to deliver their weavings, they determine the price they are paid, depending on the hours they have worked, and we pay them up front so they have money to take home the same day. This has enabled the women to provide for their communities and to carry on the beautiful art of traditional Mayan weaving. We guarantee all our women weavers a fair wage for their weavings. However, there are still many women who have to work with middlemen, and many people still prefer to buy these cheaper weavings rather than spending a few more dollars to make sure women weavers are paid properly. 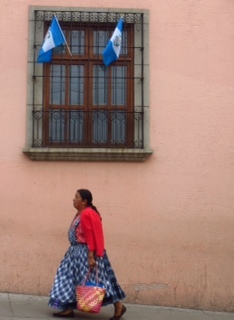 So today, on Women’s Equality Day, we’d like to ask all visitors to Guatemala to think about where their clothes and woven souvenirs come from, and whether they could be making better choices to support the women who made them. And we ask everyone else to think carefully about where the things you buy come from, and whether you too could be making better choices to support women around the world. Remember, we are all the change!